The first recognition -THE BEST FROM SERBIA – was given in 2004 and since then it has been a traditional prize awarded by the Chamber of Commerce of Serbia in collaboration with the Ministry of Trade, Tourism and Telecommunications, given to the best trademarks and corporative brands in Serbia as well as to the best manifestations and startup companies. The only domestic private company in its branch, the leader in the oil and oil derivatives market, recognizable for quality and care about its consumers, with integrated socially responsible activities in work and development, with the employees as its primary developing resource, what is the basis for the further progress, the company that is a step ahead its competition. The award ceremony has been held at the Hilton Hotel in Belgrade. Many members of the Government of the Republic of Serbia attended the ceremony, among which were the Prime Minister Ana Brnabic, the Deputy Prime Minister of Serbia and the Minister of Trade, Tourism and Telecommunications Rasim Ljajic, the President of the Chamber of Commerce of Serbia Marko Cadez, giving their support and encouragement to the best to continue thus successfully and to the better to be even better. More than 150 best Serbian brands have been the laureates of this year award. 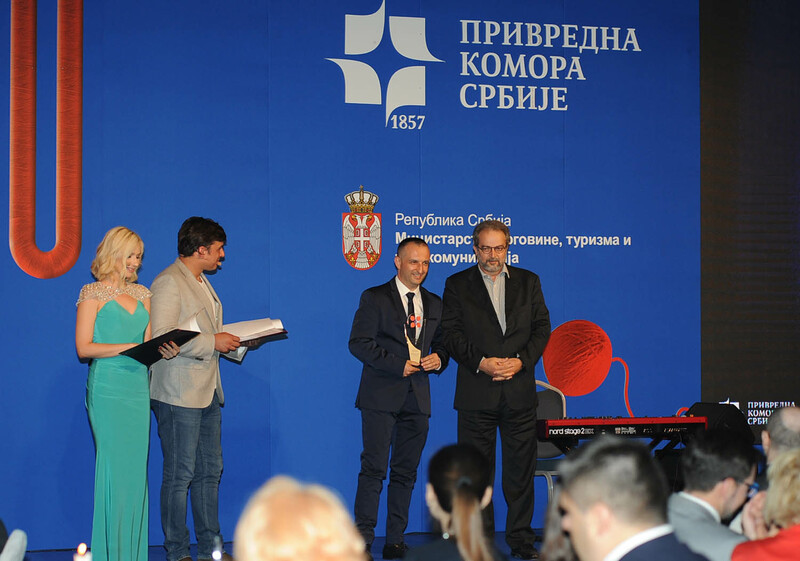 Srdjan Knezevic has received the award on behalf of the company Knez Petrol. The prize was awarded to him by Slobodan Nakarada, the Director of the Museum of Contemporary Art. “The award is an incentive for the development of new business ideas and the strengthening of the value of the company, as well as a great indicator and confirmation that the quality of our services and brand recognition are the imperative of our business. I am particularly pleased with the fact that in addition to the financial parameter and the mark of the expert jury, the voice of consumers is one of the parameters for the best brand choice. This shows us that we are going in the right direction and make us set even higher goals primarily taking care of consumers, quality and innovation. “- said Knezevic.